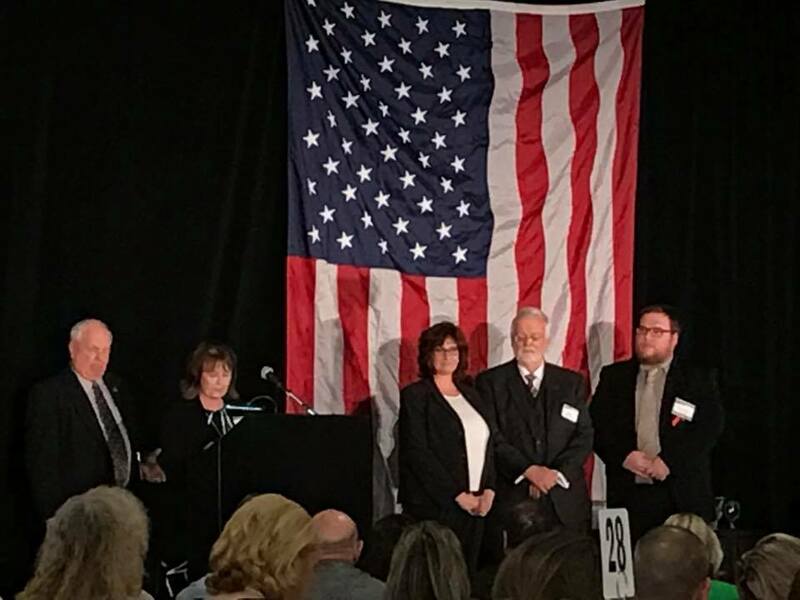 On Wednesday, March 22, the Clermont County Chamber of Commerce honored Operation Sunshine and CABR for our charitable work with Stepping Stones. 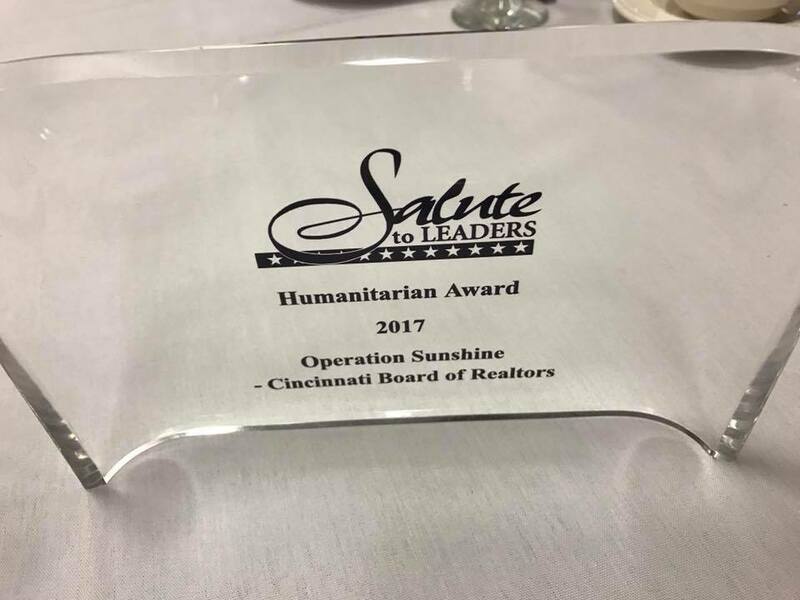 Operation Sunshine was presented with the “Humanitarian Award” as part of the Chamber’s Salute to Leaders Awards. CABR President David Welch, CABR Past President Patti Stehlin and CABR Staff Member Andy Clark accepted the award on behalf of Operation Sunshine and CABR. Operation Sunshine was nominated by the staff of Stepping Stones, in appreciation of the advocacy, fundraising and volunteer work Operation Sunshine does for Stepping Stones. Each year, Operation Sunshine holds a fundraising drive and a picnic at Stepping Stones’s Camp Allyn. Last year, Operation Sunshine donated over $10,000 to Stepping Stones! This year’s fundraising drive will mark the 44th year for Operation Sunshine and will take place in the month of July. The annual picnic will be held in early August for all the campers and staff of Camp Allyn. To find out more about Stepping Stones, visit their website www.steppingstonesohio.org. For more information about Clermont County Chamber’s Salute to Leaders Awards, visit their website www.clermontchamberfoundation.com.